Dazee has been flying the flag for Jungle and DNB since 1992 and is co- founder of the now legendary ‘Ruffneck Ting’ alongside Markee Substance (Kosheen). 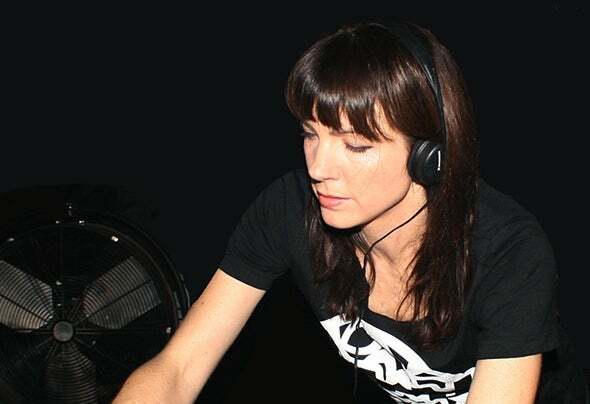 As well as making a name for herself with her dj skills, she’s had many successful releases; labels include Ruffneck Ting, Breakbeat Culture, Colourstone and Siren Records. She's performed at the most celebrated Jungle raves and parties (and featured in the tape packs!) including Universe, Dreamscape, Helter Skelter, World Dance and more recently Fantazia, Slamming Vinyl and Raveology. Her pioneering dnb sound has taken her around the globe and she has Featured on Radio 1, BBC 1Xtra, VH1 and IT V.2013 saw the relaunch of Ruffneck Ting with an event at Lakota in Bristol and the release of the classics album RNT20 to celebrate 20 yrs since it began. Now managing the label as well as producing for it, Dazee has just released Ruffneck Ting’s first digital ep featuring tracks by herself, K-jah and Jinx. It’s received huge support and radio play by the likes of Ray Keith, Bailey and Randall. A remix series is to follow with some of dnb’s most respected producers reworking original Ruffneck Ting classics.Dazee describes her sound as “A bouncy mix of rollers and flavoursome jump up: I try to keep it musically colourful with jungle vibes, but forward thinking not just retro and with some deeper or harder edged elements too.” This is the sound she hopes will come across with Ruffneck and with the current release schedule of new beats from herself and producers signed to the label Dazee is always guaranteed to be bring fresh Ruffneck Ting dubs to the dancefloor!2013 also saw the release of a mix cd featuring many of the tracks now being released on Ruffnck Ting. This was commissioned by Recreo clothing for Brisfest and also featured the vocal skills of Mc Carasel. In the words of Carasel “Still fresh” months on! To listen/ download: https://soundcloud.com/carasel/recreo-present-dazee- caraselDazee also currently co-hosts The Dutty Bass Show on Bristol's much loved Ujima FM, along side her fellow "Dutties" Dj Diss Miss and Safesoul.As a member of DuttyGirl, Dazee’s sound is more diverse, to include a variety ofbass heavy dance genres. Dutty Girl's unique blend ofmixing through genres and featuring their own productionsand original vocal tracks can be heard on their “Call of DuttyCd” as well as in their performances. (For more info on Dutty Girl check out facebook.com/dutty girl)Although she enjoys a more eclectic musical direction as part of Dutty Girl, Dazee will always remain true to her roots and champion jungle and drum and bass in her solo dj sets. Currently resident at Bristol's celebrated monthly dnb night "Bristol Sounds DnB" she is looking forward to exciting forthcoming events in Bristol and beyond, including Fantazia, the Drum and Bass Awards and Love Will Save The Day.